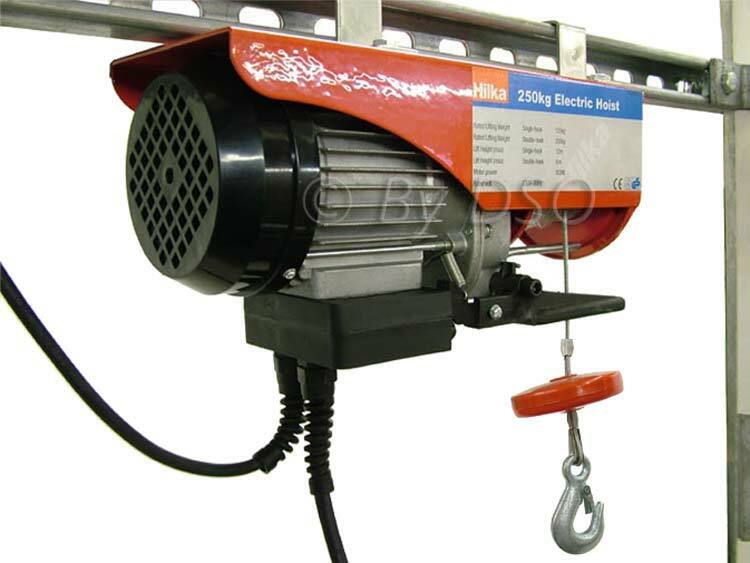 This very well constructed hoist is ideal for a wide range of lifting duties, including scaffold work, greater garage duties like lifting engines out and lifting construction material up to height on scaffold. Its compact size and convenient pole mounting brackets make this hoist the perfect choice. It's TUV, GS and CE certified, and comes complete with hook, pole mounting brackets and hand held switch with emergency stop button for extra safety, added to the hoist is an automatic stop lever to stop the hook getting tangled up in the drum. A quality product at an affordable price!